Your cats and dogs are invited to join the fun at The Edge. Our pet-friendly apartment homes in Richmond, VA offer spacious floor plans with room to spread out and relax. Our lush green landscaping includes areas where you and your pet can enjoy hours of fresh air and exercise just moments from your front door. Please contact the leasing office for more information about our pet-friendly units, and any breed restrictions that may apply. You love your pet, and so do we! 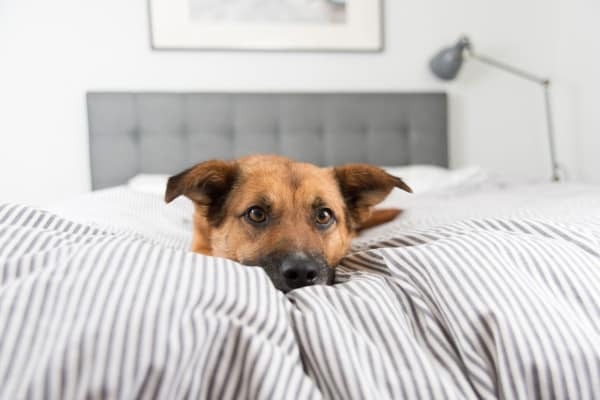 You and your furry companion can take comfort in knowing The Edge at American Tobacco Center is a pet-friendly community with Chimborazo Dog Park, Church Hill Animal Hospital, Pets at Play and so many more places conveniently located nearby. Contact us today to learn more about our pet policy.